Click HERE to get your own piece of Prime Web Space - only ONE per Category per Area! 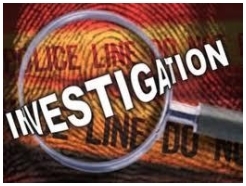 Assistance with any investigation or forensic audit. Bruce has more than 26 years investigative experience as a former Captain at the Johannesburg Commercial Crime Unit, as a Director and co-founder of MSS Consolidated Holdings (Pty)Ltd where we specialized in Forensic Audit and fidelity guarantee claims, as a Loss Adjuster in Complete Loss Adjusters CC, as a Senior Forensic Auditor for the Gauteng Shared Services Centre (GSSC - Provincial Government) and as a current Forensic Audit Consultant for various companies. Employee theft or fraud to dismiss, criminally charge and recover stolen miJohannesburgppropriated funds and to assist with the claims preparation process when claiming under your Fidelity Guarantee insurance cover. Although we are based in Gauteng, we can travel especially where large cases make it viable and one do not want exposure to local or internal interferences. Other Areasreas: Will be created as leased - get yours now! See www.PrimeWebSpace.co.za for more information, pricing and available areas.